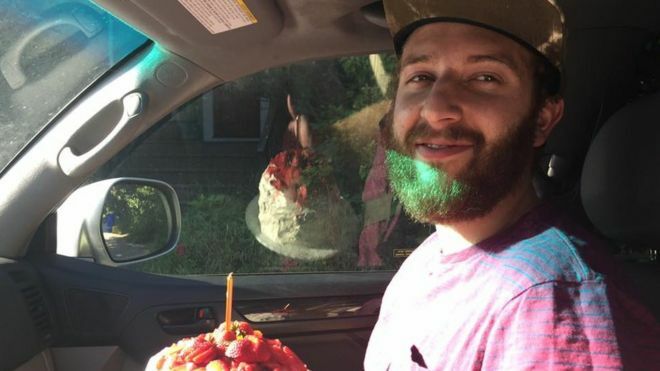 US President Donald Trump has condemned as “unacceptable” the killing of two men who had tried to stop a man abusing a Muslim teenager and her friend. Mr Trump had been facing mounting criticism for his silence over the deaths of Taliesin Namkai-Meche and Ricky Best in Portland on Friday. However, Mr Trump has not commented from his own Twitter account. On Sunday Mr Trump accused the media of “disparaging” his social media output. Mr Namkai-Meche and Mr Best were killed after they intervened when a man launched a verbal tirade against two teenagers on a train, one wearing a hijab. A third man, Micah David-Cole Fletcher, was severely injured. Tributes to the dead men have already been paid by other politicians, including Portland’s mayor, Oregon governor Kate Brown and former presidential candidate Hillary Clinton, who described their deaths as “heartbreaking”. In the days following the attack, President Trump tweeted from his personal account about the “success” of his trip to the Middle East and Europe, plans for tax cuts and healthcare, and his criticism of the media. On Monday he tweeted a tribute to members of the armed forces who had been killed on active service for US Memorial Day. The suspected killer, Jeremy Joseph Christian – who police say had “extremist ideology” and allegedly said “all Muslims should die” during the attack – was arrested after the attack. In an open letter urging Mr Trump to speak out, veteran journalist Dan Rather suggested to Mr Trump that the murders did not “fit neatly into a narrative you pushed on the campaign trail” because the victims “were not killed by an undocumented economic migrant or a ‘radical Islamic terrorist'”. “I wish we could hear you say these names, or even just tweet them. They were brave Americans who died at the hands of someone who, when all the facts are collected, we may have every right to call a terrorist,” Mr Rather wrote. Destinee Mangum – the 16-year-old who was travelling with her friend when the attack took place – has also thanked the men for stepping in. 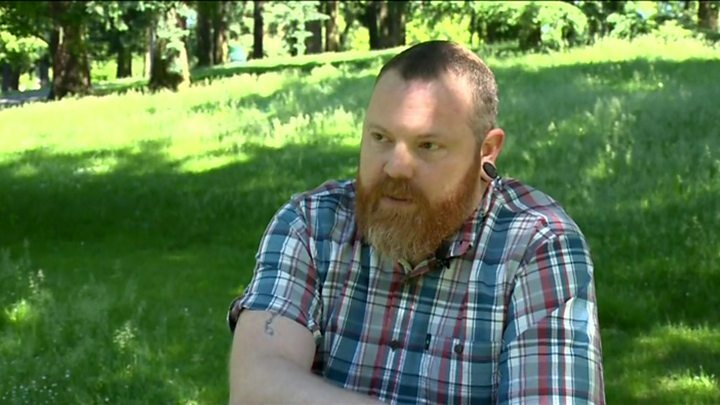 “I just want to say thank you to the people who put their life on the line for me, because they didn’t even know me and they lost their lives because of me and my friend and the way we look,” she told local channel KPTV. She has since asked for privacy to give her “time to heal”. Close to 1,000 people gathered for a vigil in memory of Mr Namkai-Meche, 23, a recent college graduate, and 53-year-old army veteran Mr Best, a father of four, on Saturday evening. Mr Fletcher is recovering after sustaining a knife wound to his neck that his mother said was “a millimetre” from his jugular vein. More than $880,000 (£685,000) has been raised for the families of Mr Namkai-Meche and Mr Best as well as Mr Fletcher – including a campaign organised by two Muslim organisations that has raised nearly $350,000. A separate fundraising page for the two teenage girls has also raised nearly $15,000. Mr Christian, 35, is due to appear in court on Tuesday, charged with two counts of aggravated murder, attempted murder, intimidation and being a felon in possession of a restricted weapon. The FBI said it was still unsure if he will face charges for hate crime.